Soon, you will be able to take fully spherical photos with the Kodak SP360 4k. 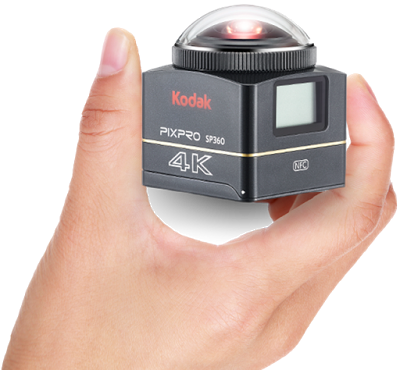 The Kodak SP360 and SP360 4k are hemispherical 360-degree cameras with only one lens. However, Kodak has a bracket to put two SP360 cameras back-to-back, and thus allow a fully spherical 360-degree capture. Recently, the Wall Street Journal concluded in its shootout that the SP360 4k dual pro pack has the best video quality among consumer 360 cameras. Thus far, the SP360’s stitching software has only allowed stitching for videos. 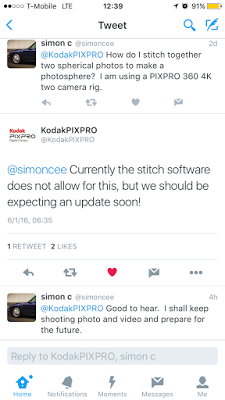 However, Kodak Pixpro said that there will be an update “soon” to allow stitching for fully spherical photos as well. This is welcome news for current and prospective owners of the SP360 4k camera.